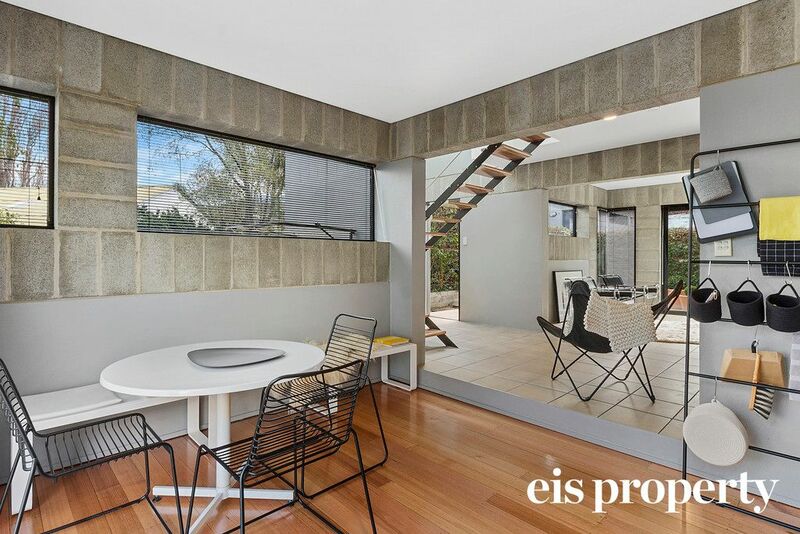 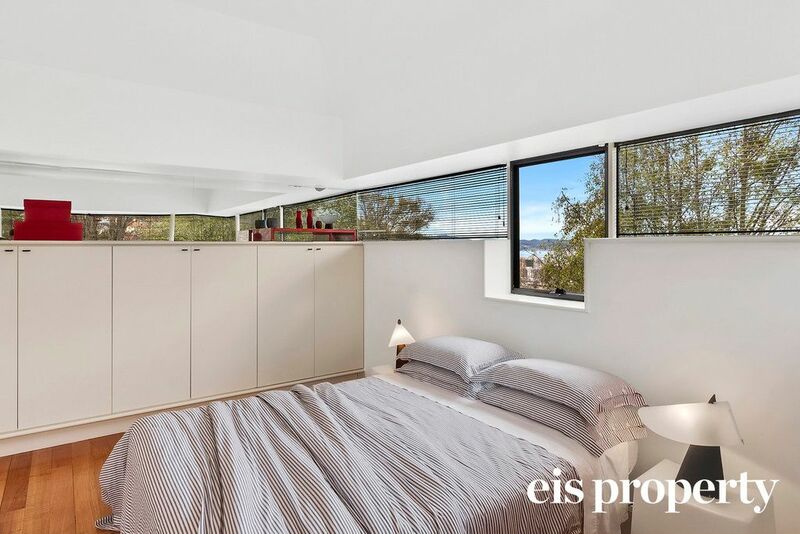 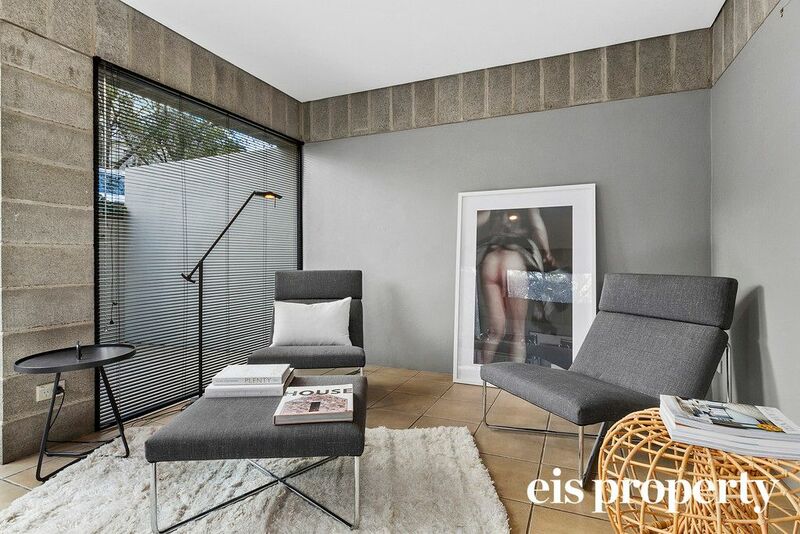 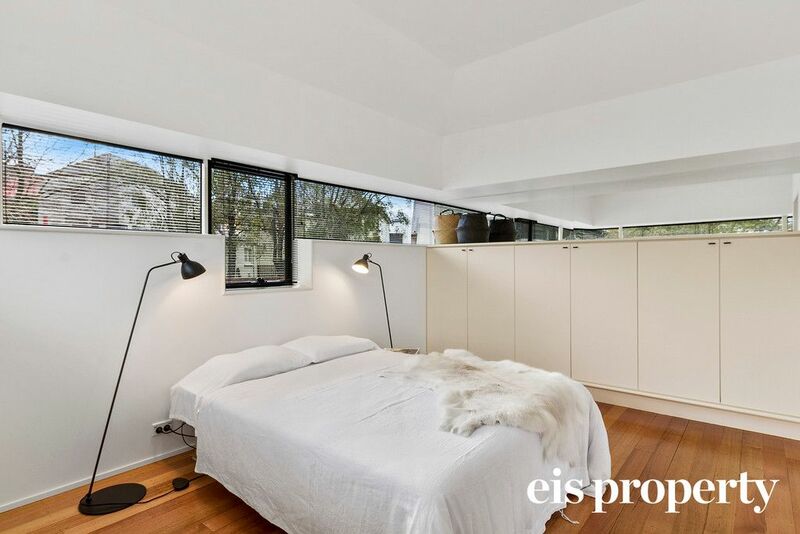 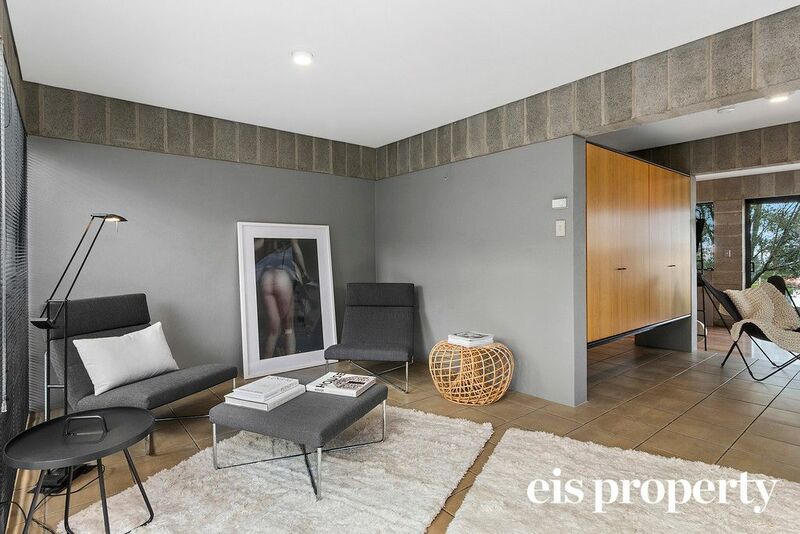 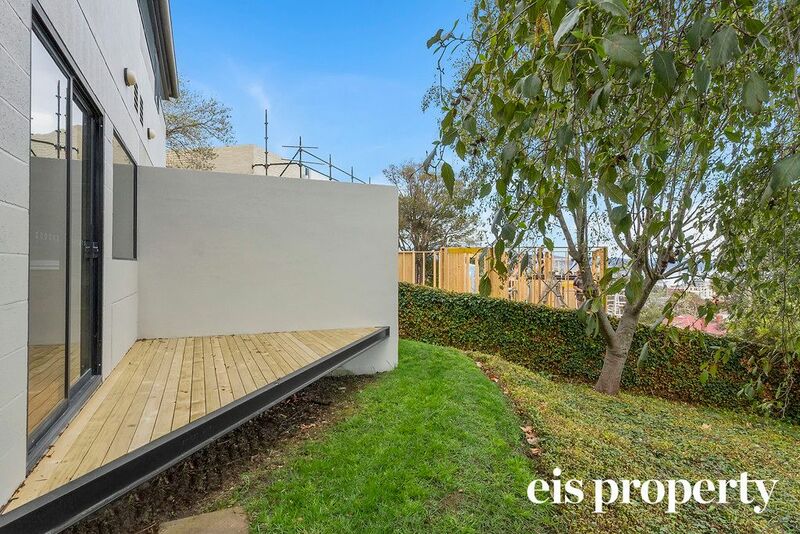 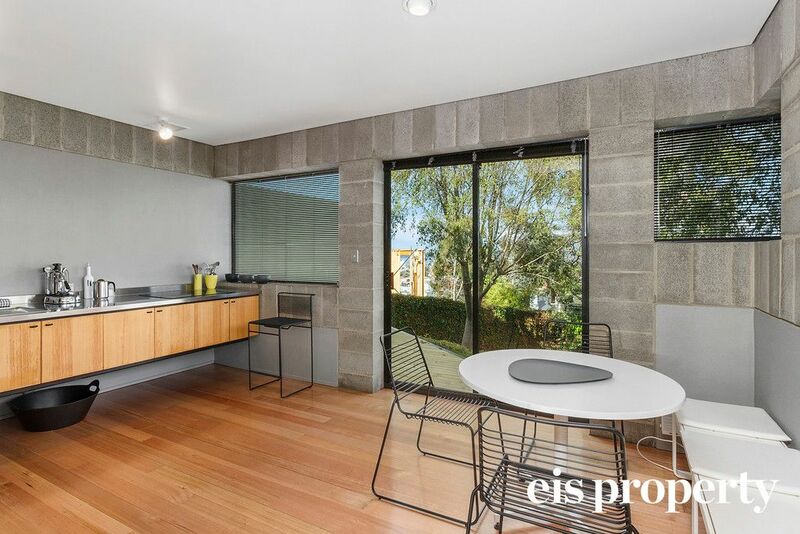 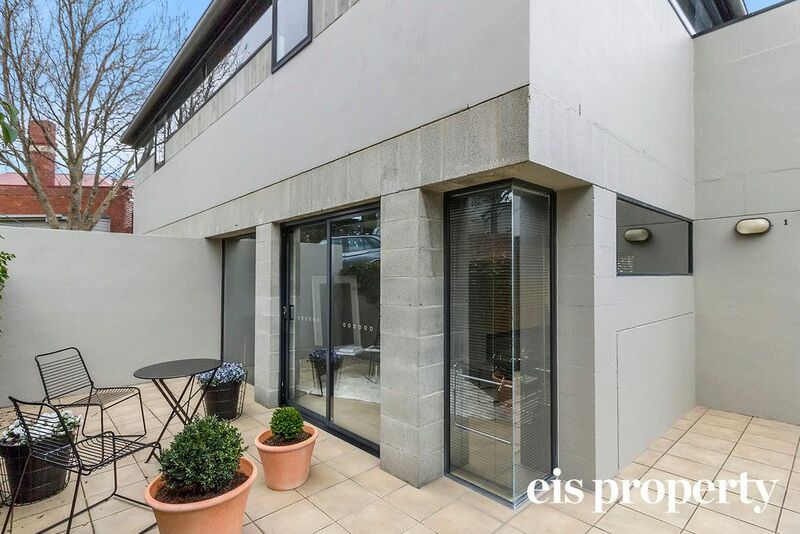 Privately positioned, this architecturally designed home has been orientated to create a comfortable home on the city fringe. 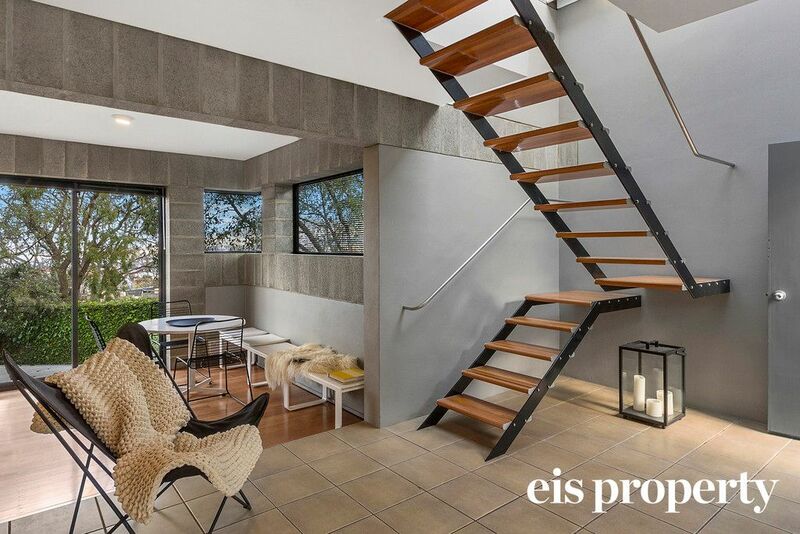 The versatile floor plan maximises space and offers generously proportioned living areas with thoughtful design elements and consistency in the timeless and sophisticated decor. 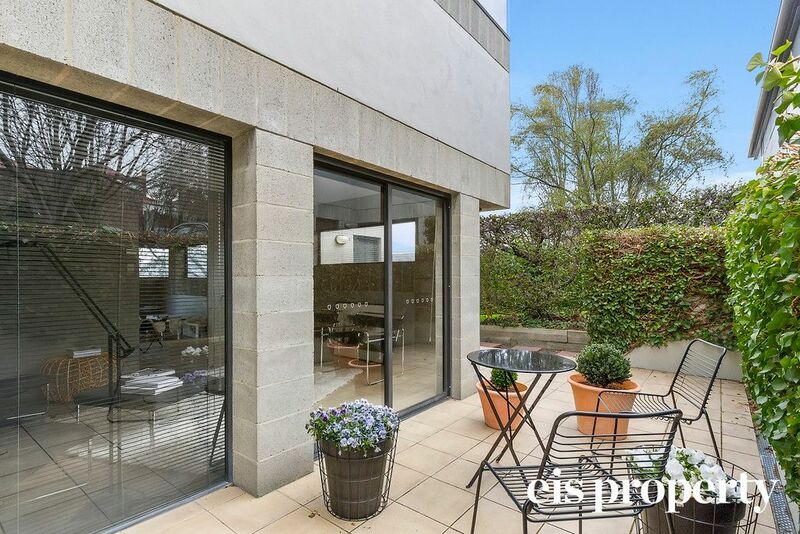 As you enter this property you are met with the open plan kitchen, living dining with access to both of the private courtyards from either the living room or the kitchen. 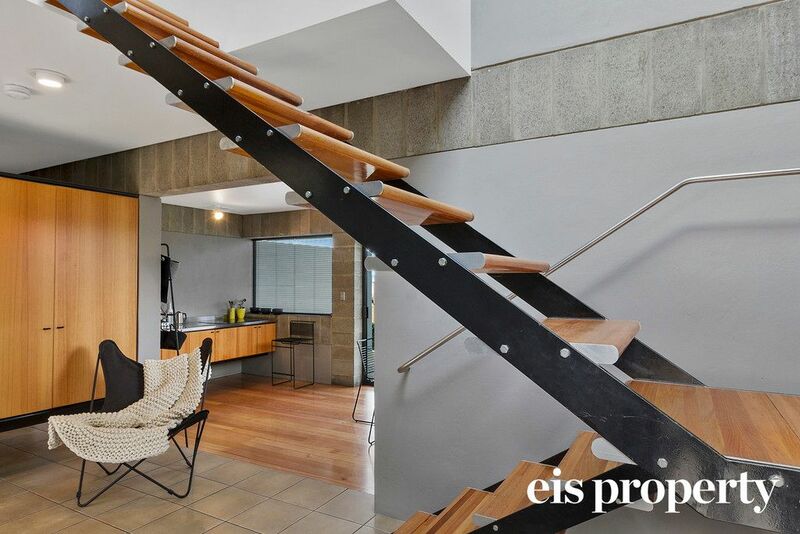 As you continue up the stairs, there are two genuine double bedrooms of equal proportions complete with built in wardrobes and a convenient study nook in each. 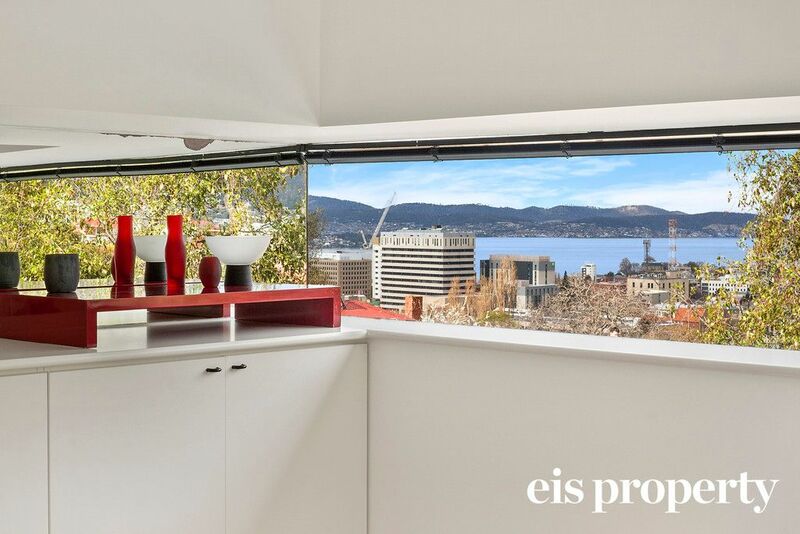 The front room has views of the River Derwent. 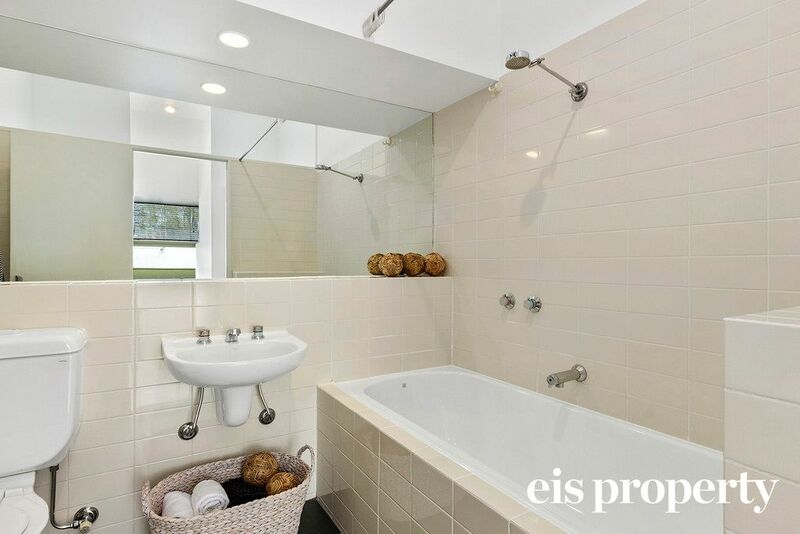 The bathroom is additionally on this level and has bath over shower. 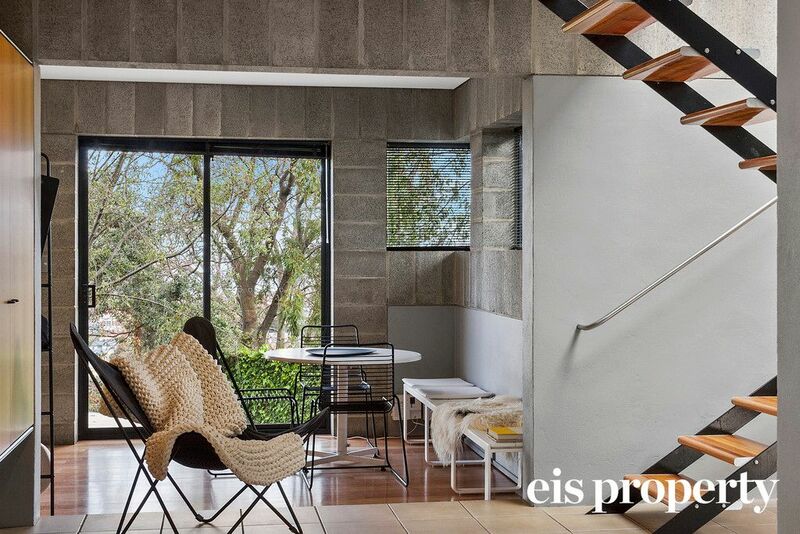 The combination of the industrial and raw natural materials of the interior flooded by natural light from the exterior works to create a tranquil retreat while still being only a stones throw to the CBD. 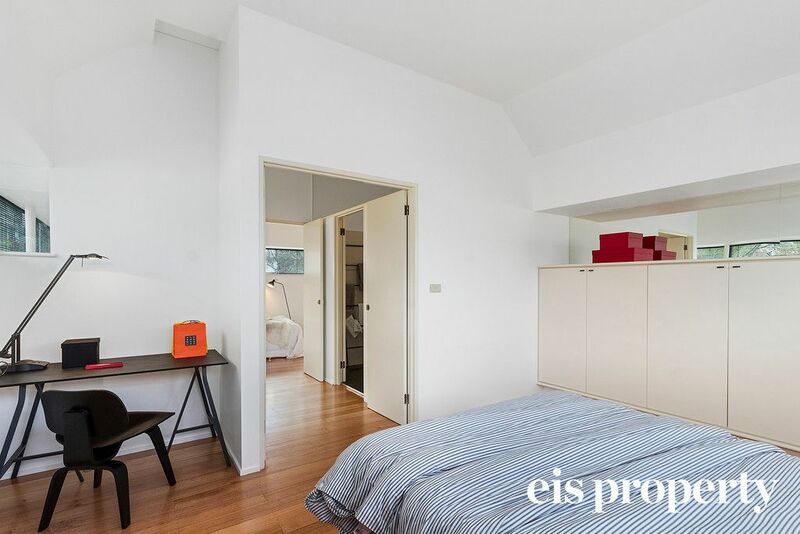 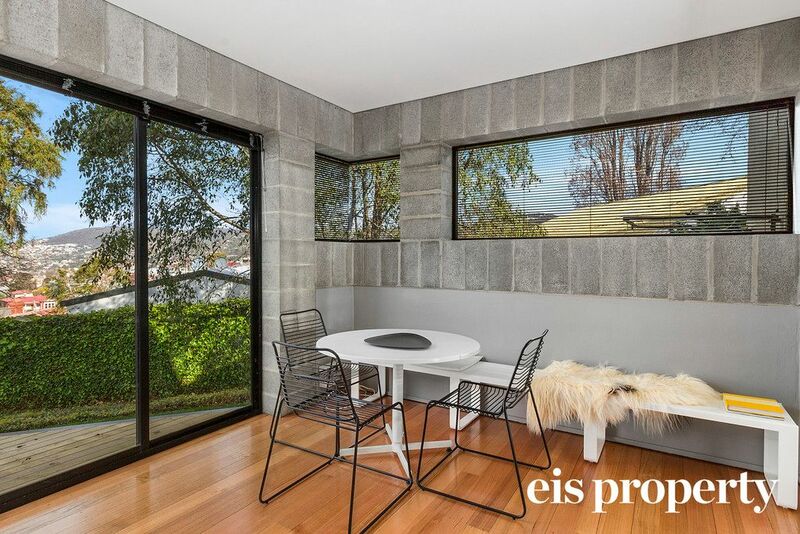 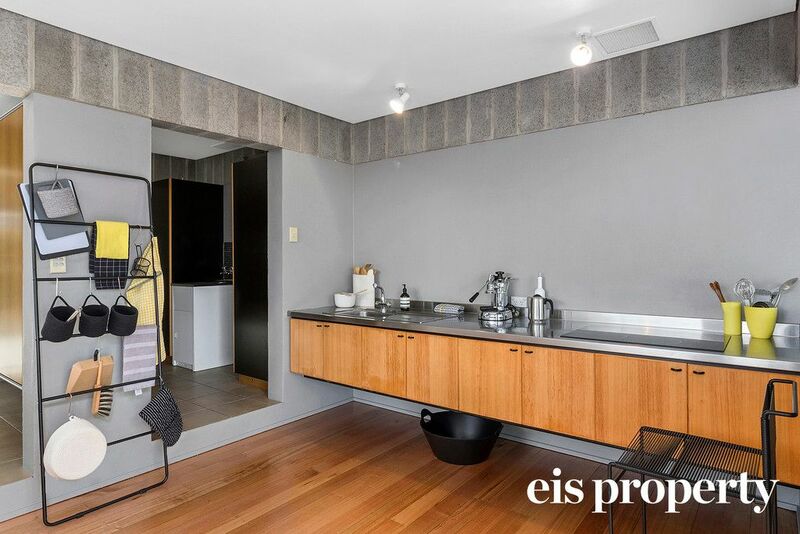 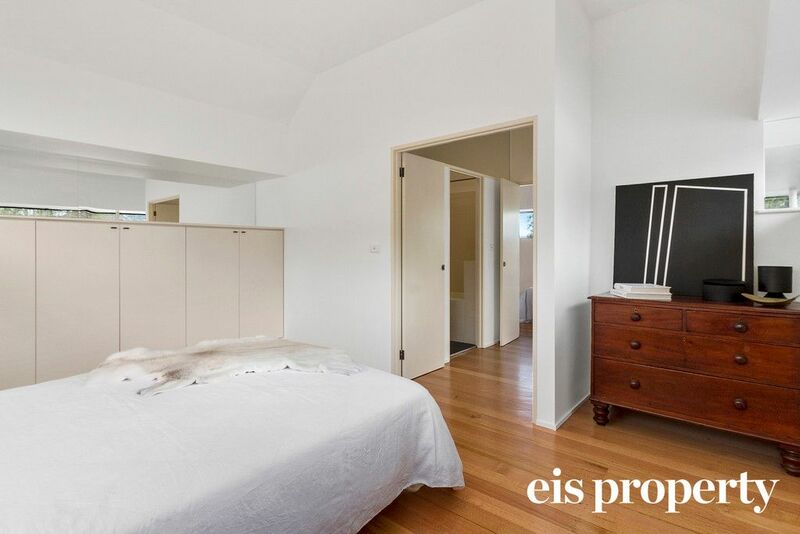 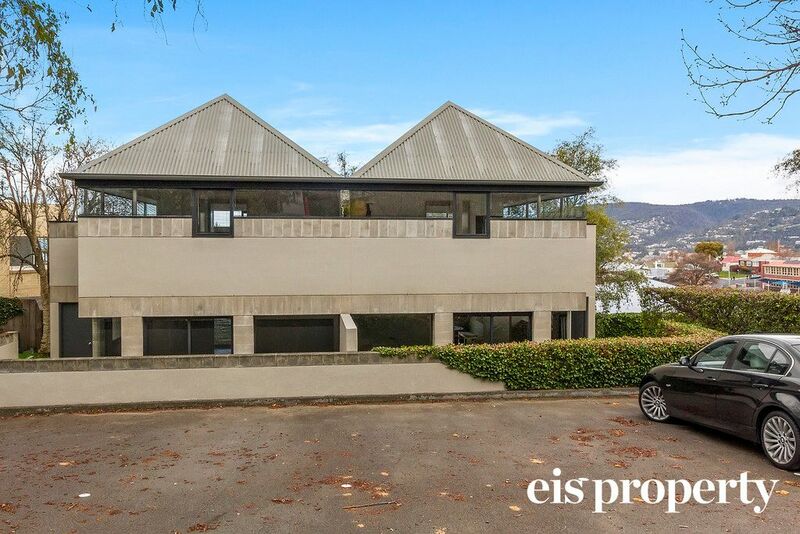 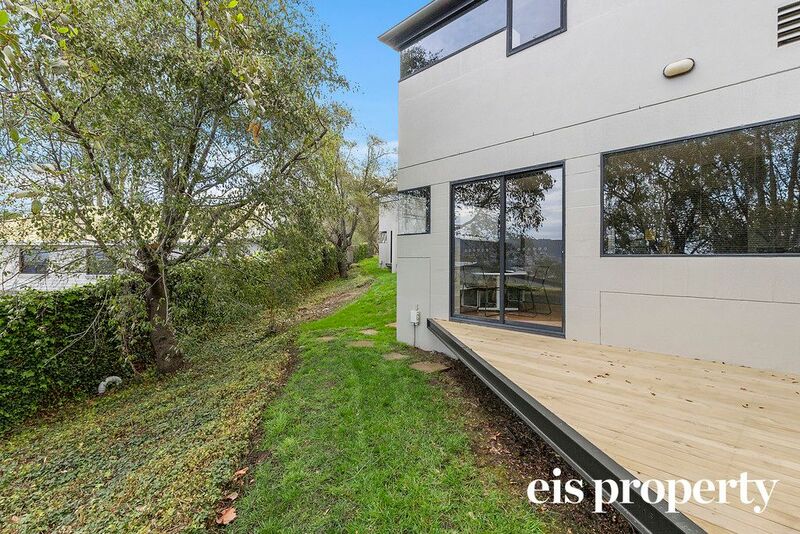 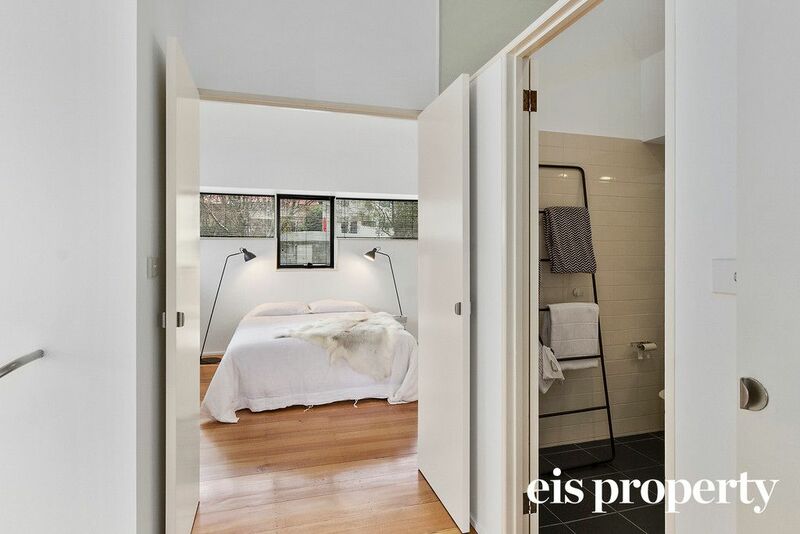 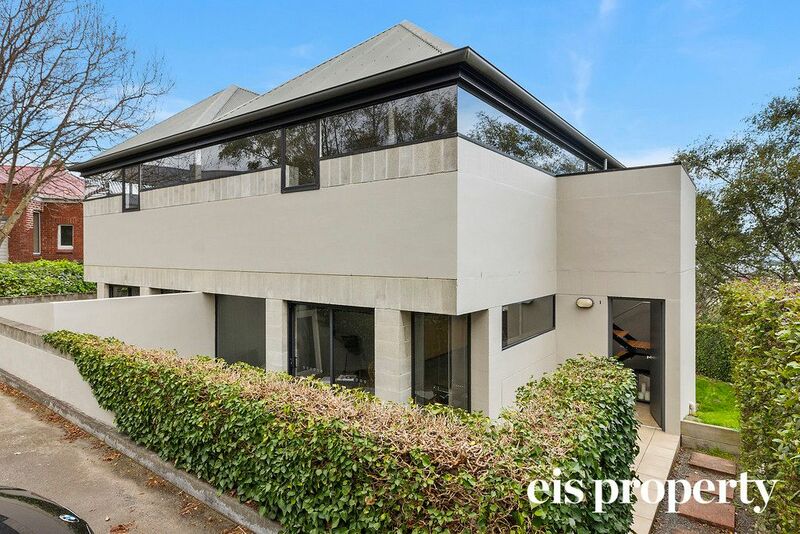 Located within walking distance of both the Hobart CBD and the cafes and restaurants of West Hobart, this property presents an outstanding opportunity to acquire the very best of contemporary living and understated luxury in a quiet and sought after complex. 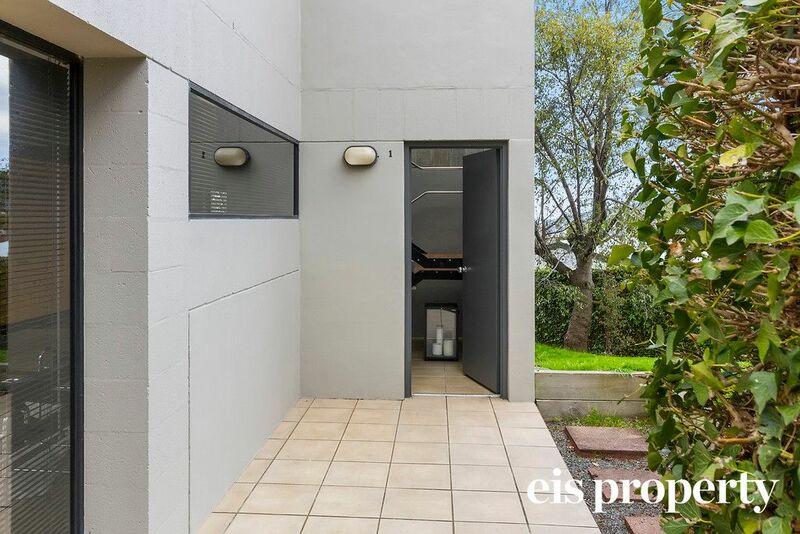 Unfortunately pets are not permitted at this property. 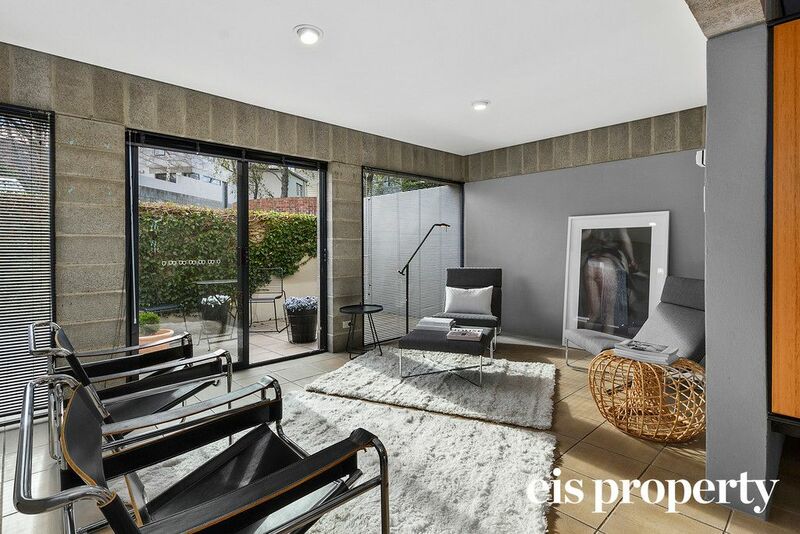 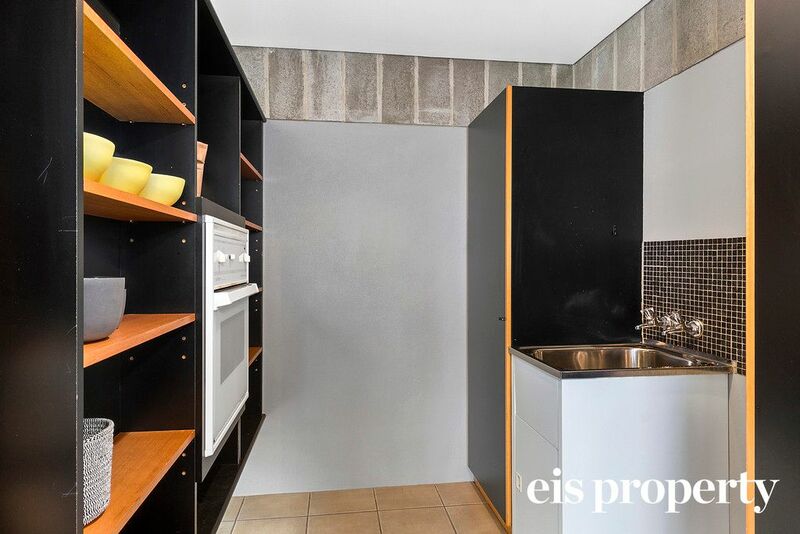 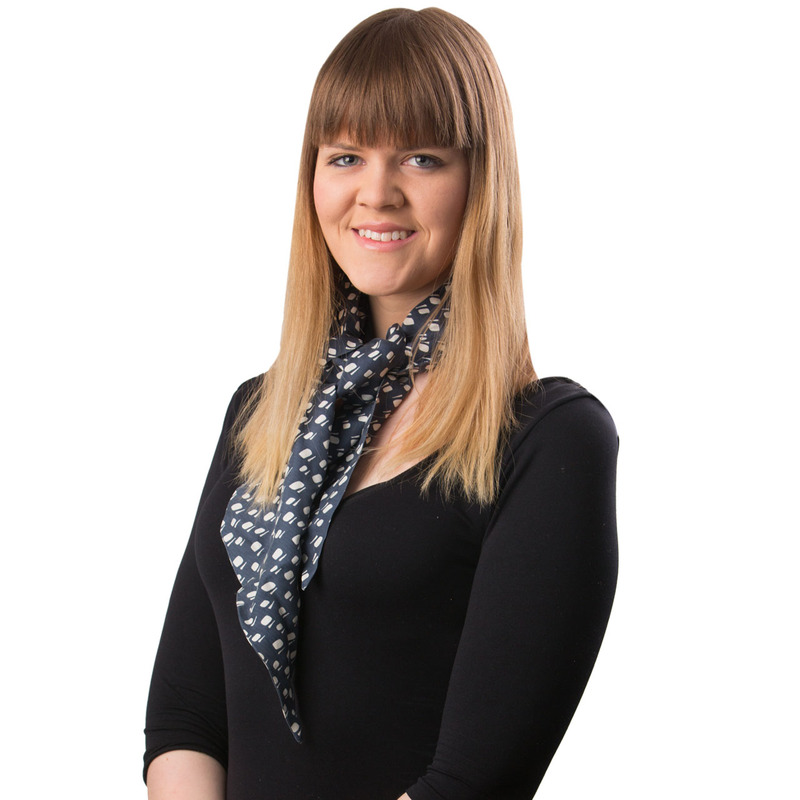 Please note – the photos shown for this property are not the exact images – they do however depict the units that are available. 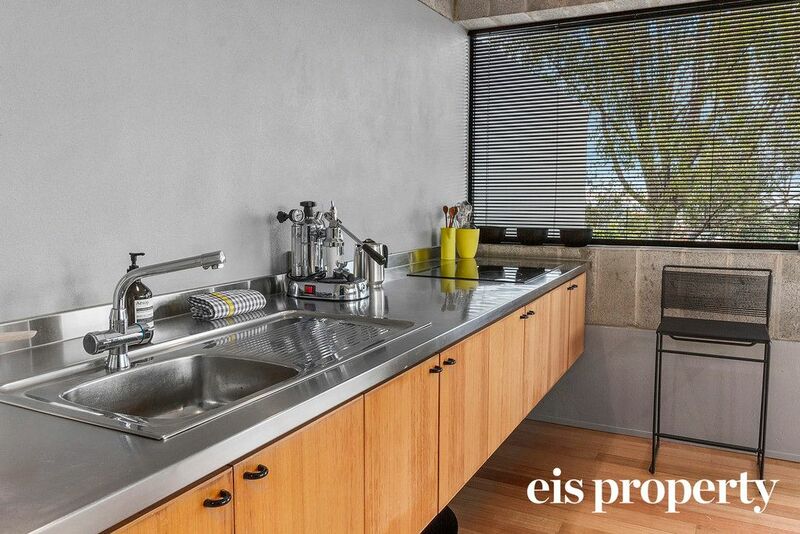 EIS have Unit 4 and Unit 6 available for rent.